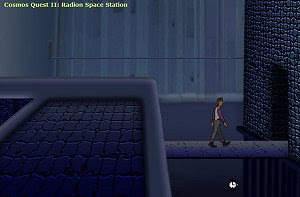 Cosmos Quest is a series influenced by the Space Quest adventure games from Sierra. The story continues where the first chapter suddenly ends. The Federation is still strong, but the Rhomulians (thanks to you – Apo Lanski) are coming out of the ignorance of their Sun dying! You are back on the Radion Space Station and have the captain’s orders – “Join the crew on Pitla!”.